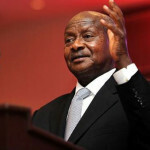 The Minister for Tourism, Wildlife and Antiquities, Prof. Ephraim Kamuntu, has said Uganda is targeting four million tourists by 2020 among them one million from China. Prof Kamuntu is leading a delegation of government and private sector players at the China Guangdong International Tourism Expo as part of promotional efforts to woo tourists from China, one of the world’s emerging sources of tourists. The China Guangdong International Tourism Expo was attended by over 500,000 people. “We are going to embark on an aggressive marketing campaign in this very important market. To this end, the government is looking at the Chinese outbound tourism market contributing greatly to its aspiration,” said Prof. Kamuntu indicated in a statement. The Minister is accompanied by Stephen Asiimwe, the Chief Executive Officer of the Uganda Tourism Board (UTB); staff of the Guangzhou Consulate led by Ambassador Solomon Rutega, Uganda’s Consul General in Guangzhou; and officials from the Uganda embassy in Beijing. “In this year’s budget, we have included a budget for market representation and public relations. We hope that this will help bolster our presence in the Chinese market, increase visibility and awareness of the destination,” UTB boss Asiimwe said. The Expo and conference, was held at the Pazhou Exhibition Complex in Guangzhou, the capital Guangdong, China’s richest province, with a GDP of US$ 1.15 trillion, and a population of over 110 million people. The side event was organised as part of ongoing activities by the Consulate to create further awareness of Uganda as a favourable tourist destination in Africa. 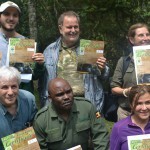 Asiimwe informed tour and travel operators of the peace and stability that Uganda has enjoyed over the years and reassured them of unforgettable experiences. He called on tour and travel operators to establish links with their counterparts in Uganda to develop itineraries that suite the Chinese outbound market. Ambassador Rutega said since the establishment of the Consulate, trade, investment and tourism had increased tremendously. “One of our core result areas has been tourism. 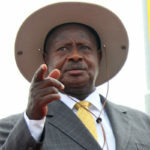 We hope that these engagements will ensure the government targets are met,” he said. The Tourism Administration of Guangdong Province was represented by Mr. Liang Yongzhong, who expressed the readiness of the Government of China to support Uganda’s efforts to attract Chinese outbound tourists. 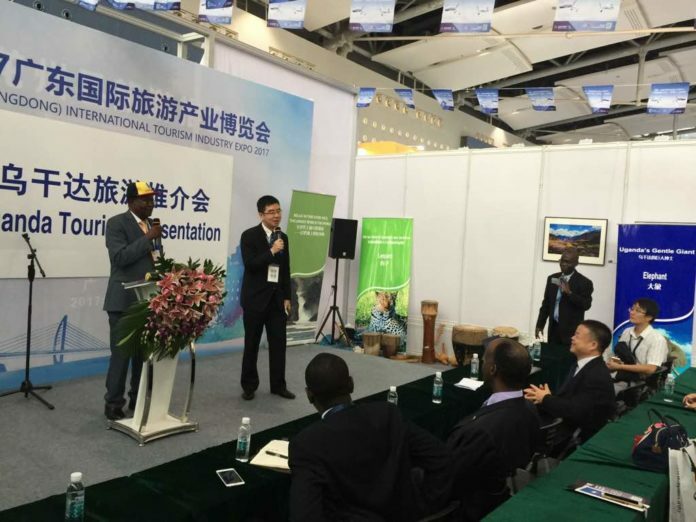 Kamuntu is expected to attend the General Assembly of the United Nations World Tourism Organisation in Chengdu, Sichuan Province. He will also preside over another Consulate-organised conference on promoting Uganda’s investment and tourism opportunities in Nanning City, Guangxi Province on September 14, 2017.